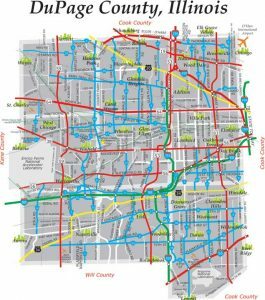 The DuPage County Division of Transportation (DuDOT) has announced its upcoming capital program for 2019. 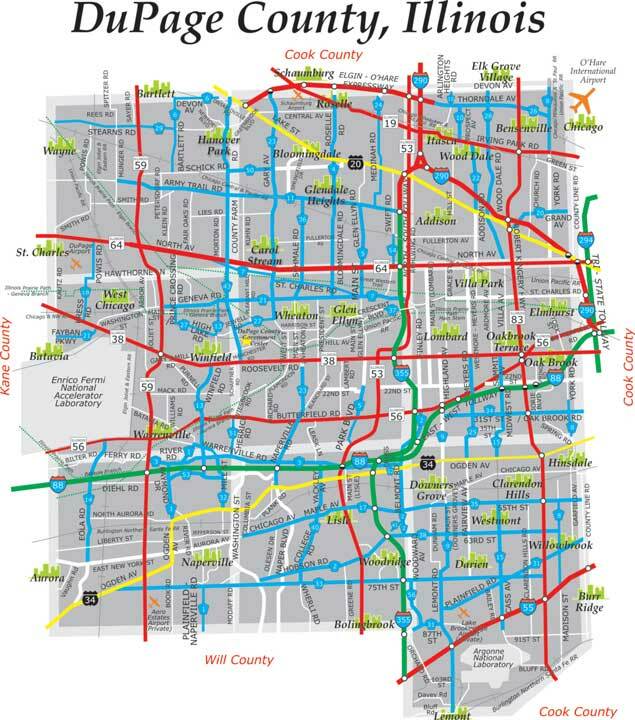 The $36.1 million program, which includes county and federal funds, focuses on improving the County’s infrastructure. Improvements include safety enhancements, congestion relief, state of good repair, and accommodations for pedestrians and bicyclists. 55th Street from Dunham Road to Clarendon Hills Road in Downers Grove, Westmont, and Clarendon Hills. Crews will add left turn lanes at Main Street and at Fairview Avenue, patch and resurface streets, repair sidewalks, and synchronize traffic signals. Greenbrook Boulevard from County Farm Road to Lake Street in Hanover Park will be patched and resurfaced. Safety improvements along 75th Street at Naper Boulevard. Grand Avenue culvert replacement west of County Line Road. Expanding the Central Signal System in Aurora, Naperville, Woodridge, Downers Grove, Darien, Wheaton, Lisle, and Warrenville. The Central Signal System allows DuDOT to remotely monitor and observe traffic operations and adjust them based on changing conditions. Improvements will connect the existing system to 75th Street from Route 59 to Plainfield Road; Naperville Road from Roosevelt Road to 75th Street; Warrenville Road/Ferry Road from Raymond Drive to Yackley Avenue; Winfield Road from Warrenville Road to Diehl Road; and Diehl Road from Raymond Drive to Mill Street. To view a full list of the DuDOT road construction projects, or for more information about individual projects, please go to www.dupageco.org/dot/construction.